Investing in P2P Financing: What Is It and How Do You Make the Most of It? In November 2016, Malaysia became the first ASEAN country to regulate peer-to-peer (P2P) financing when the Securities Commission (SC) announced six P2P financing operators. P2P financing, a business model born of financial technology innovation, was viewed as a way to widen access to business financing for small and medium-sized enterprises (SMEs). But P2P financing isn’t just for SMEs in need of working capital. The business model is simultaneously reliant and beneficial to two parties: SMEs and investors seeking an alternative instrument with relatively higher returns. OK, I’m sold on higher returns. What’s P2P financing? 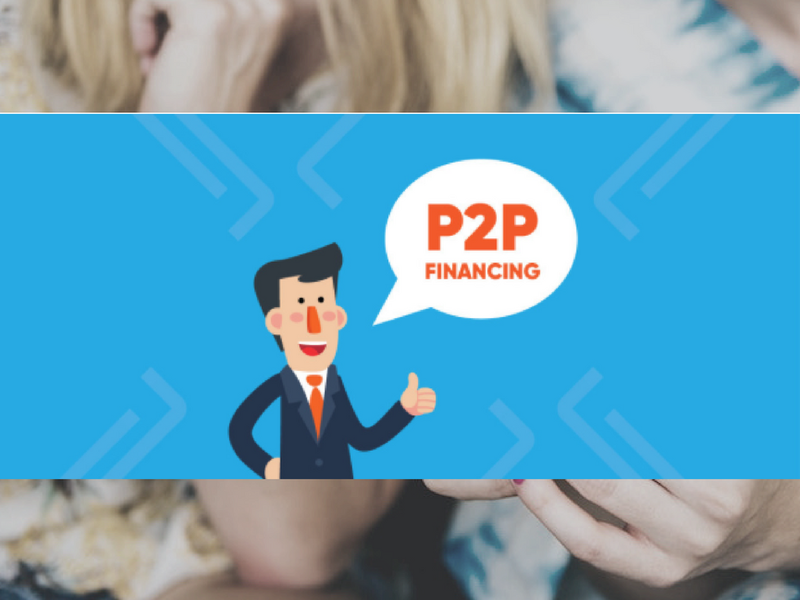 P2P financing is a form of alternative finance, where online platforms connect SMEs and investors. Through P2P financing, more of the underserved segment would have access to funding and working capital. Who funds all the SME financing? A group of investors registered to their chosen P2P financing platform. If an investor sees an SME as promising and investment-worthy, he or she will chip in to the financing amount requested by the SME. SMEs will then repay the financing in monthly installments with interest to investors who pooled together funds for them. By investing into SMEs, investors will earn advantageous returns – often higher than fixed deposits, bonds, and other traditional instruments. The first online platform to utilize P2P financing was UK’s Zopa, back in 2005. P2P financing was a novel idea, yet simple to understand. It quickly spread across Europe and the USA. Today, the Western market for P2P financing has matured and stabilized, with established major players. Asia has also enthusiastically adopted P2P financing. The Chinese P2P industry alone has transacted more than USD 300 billion in 2016. Amidst the saturation of P2P financing across various markets, Southeast Asia is emerging is the next hot region for industry growth. The region’s population is mostly young, productive, and tech-savvy, while its economic growth is consistently strong. As a concept, P2P financing is fairly user-friendly. Simply register to a credible P2P financing platform, transfer your first deposit, and invest into SME funding opportunities you are interested in. Minimum investment per SME varies across platforms. Local platform Funding Societies, for example, allows you to invest as little as RM 100 into each SME. If all goes well, you should see repayments starting the next month. Another tool for maximizing returns is reinvestment. Use the returns you made from P2P financing repayments to fund new SME financing opportunities. Without reinvestment, you only receive the expected rate of return from a single investment. But with reinvestment, not only are you increasing the size of funds you are giving SMEs, you are also absorbing greater returns. Through continuous diversification and reinvestment, you can earn as much as 14% per year (in simple interest rate) or 25% per year (in effective interest rate) from P2P lending platforms like Funding Societies. Ok, sounds good. Are there any risks? Select a licensed/credible P2P financing platform. A credible platform will perform rigorous credit assessment on all SME applicants. Keep a diversified portfolio. Diversification will expose you to less risk if a percentage of SMEs defaults. P2P platforms conduct credit risk assessment using the financial industry’s best practices. P2P financing does not create systemic risk, and platforms are well-placed to weather a downturn in the credit cycle – borrower defaults would need to increase at least threefold to reduce average interest rates for investors to below zero. The final point makes a worst case scenario where all SMEs default highly unlikely. However, there are caveats. There should be a good regulatory framework for the industry and investors should be educated. For one, Malaysia has begun the regulatory process and has provided licenses to a select few, including Funding Societies. For the second, it is up to individual investors to do significant research and optimize their portfolios with diversification and reinvestment. Funding Societies is the first licensed peer-to-peer (P2P) financing platform to launch in Malaysia. It provides working capital financing for small and medium-sized enterprises (SMEs); and also offers investment opportunities with returns up to 14% per year.I am an active investor since their launch in Malaysia. If you are interested in registering as an investor like me, you can use my referral link. Once you register and invest RM1000, we will both be credited with RM50 bonus each. Funding Societies has crowdfunded more than RM 190 million into around 880 SME financing across Southeast Asia. To learn more about Funding Societies, click on their website here.